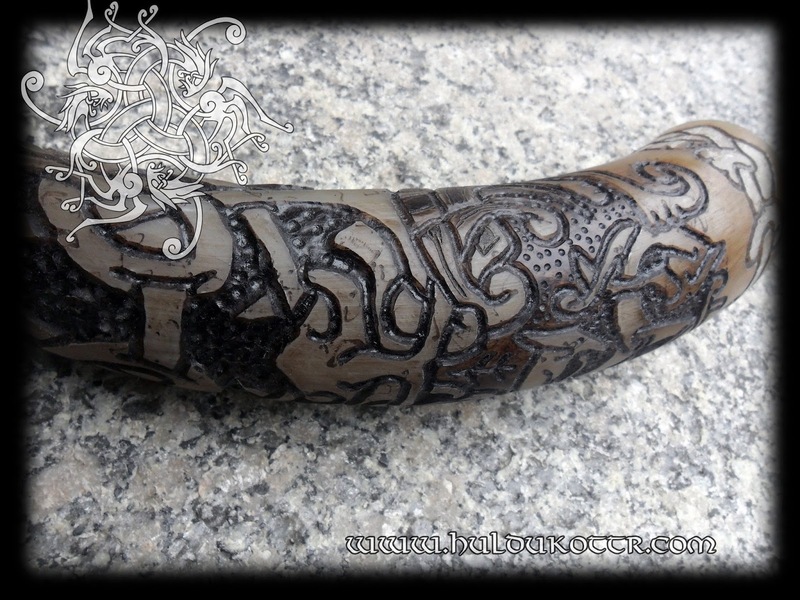 HULDUKÖTTR - Norse and Germanic Art: Mammen style horn and holder. 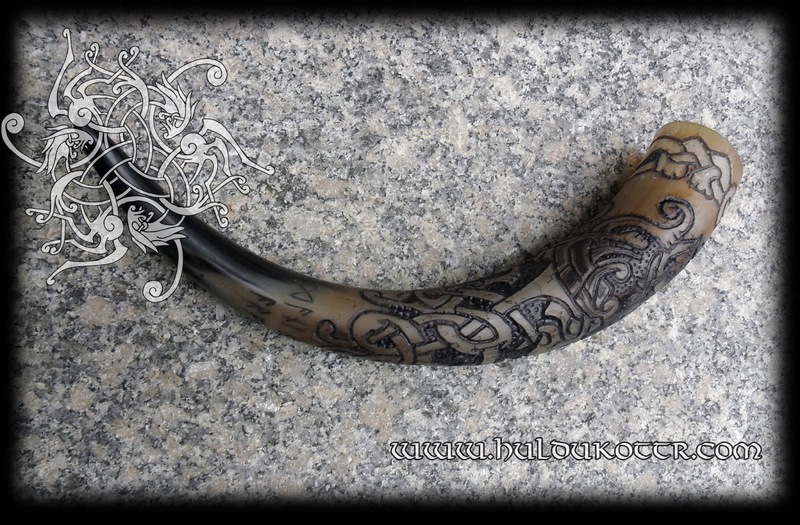 Mammen style horn and holder. Custom work for Germany. 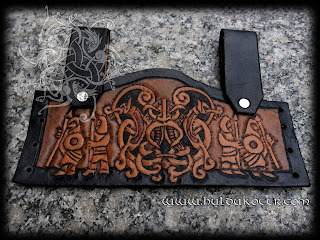 Own design. 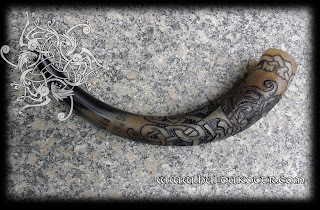 The customer asked for a long horn in Mammen Style, something for special toasts and durable for a lifetime. 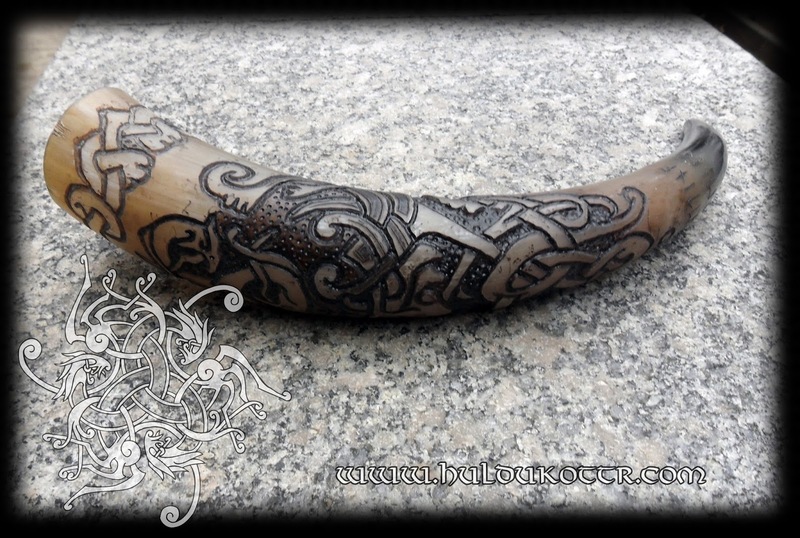 Therefore I choose to make a mask standing for both the ancestry of his wife and his own one. 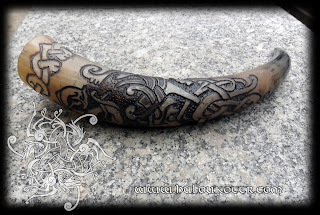 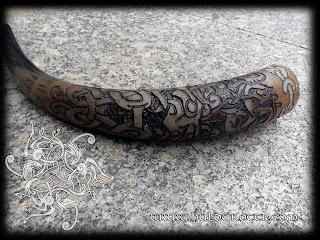 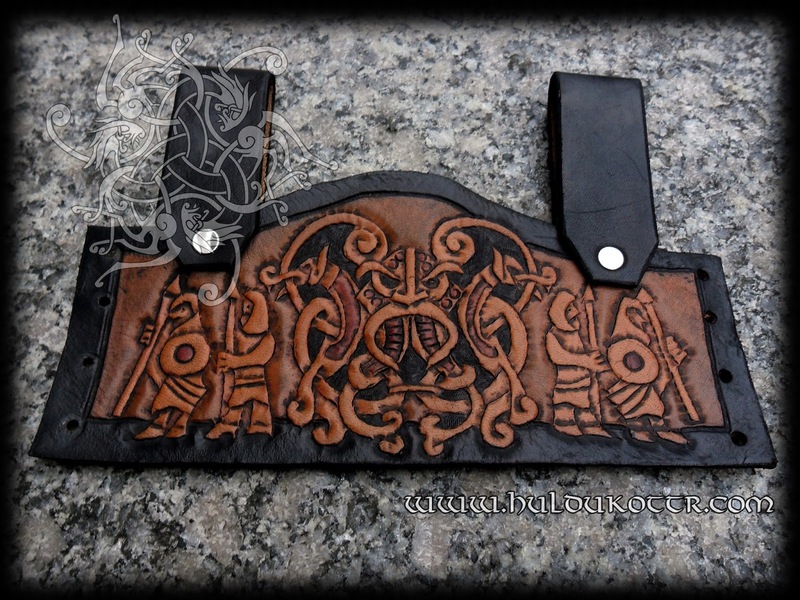 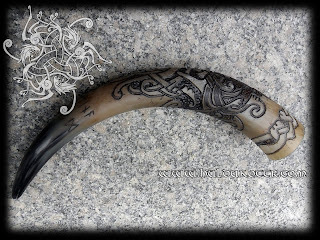 He also wanted a horn holder which has been previuously done by us in the past, depicting Odinn and his Einherjar.